While the Guardian has gone through an economic crisis in the 2010s, reaching £ 58,6 million (US$ 78,1 million) in losses in 2015, the appointment of Katharine Viner as editor-in-chief has led to a financial turnaround in recent years. In her interview with GEN, Viner shares her strategies and hopes for the future. Hear Katharine Viner speak at the GEN Summit 2019 in Athens. Katharine Viner, who joined the Guardian as a writer in 1997, became its first female editor-in-chief in 2015. Under her ruling — with severe cuts in expenses and an active website development — the Guardian has managed to improve it’s financial situation and set up a “supporter scheme” based on small donations. 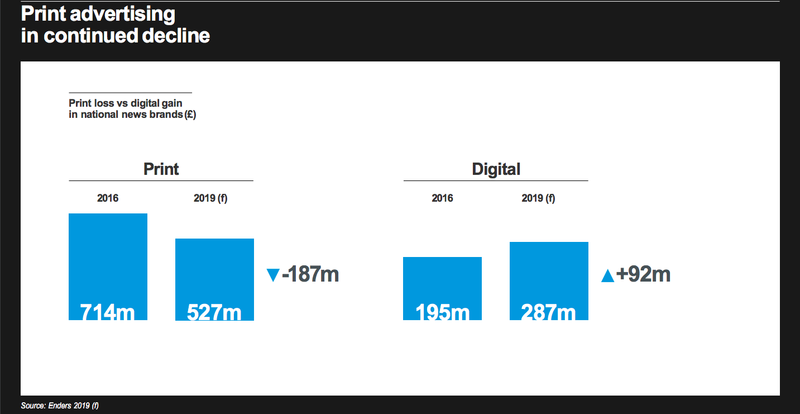 GEN: Since you came into responsibility in June 2015, the Guardian has quickly reduced its deficit, going from £ 58,6 million in losses, between April 2014 and March 2015, to £ 18,6 million between April 2017 and March 2018. Will the Guardian break even in 2019, as you had planned in March 2016? Katharine Viner: Yes, that goal is within sight now for the end of our financial year in April. It’s been tough, and we have had to work very hard across all departments, but if and when we achieve it, it will be a very important moment for the Guardian. We want to demonstrate that we can make the organisation financially sustainable. However, I do expect the economics of the media sector to remain highly unpredictable and challenging. We’ll need to work just as hard in the years ahead to maintain this new financial discipline while living up to our editorial mission. This success was linked to a reduction of expenses, including the redundancies of 310 people (100 journalists among them). Is this phase of cutting expenses over for the Guardian? Serious reporting is expensive. Since I became editor-in-chief, we’ve broken some huge stories — stories with global significance such as Cambridge Analytica — and we’ve never been more widely read (and read in depth) around the world. 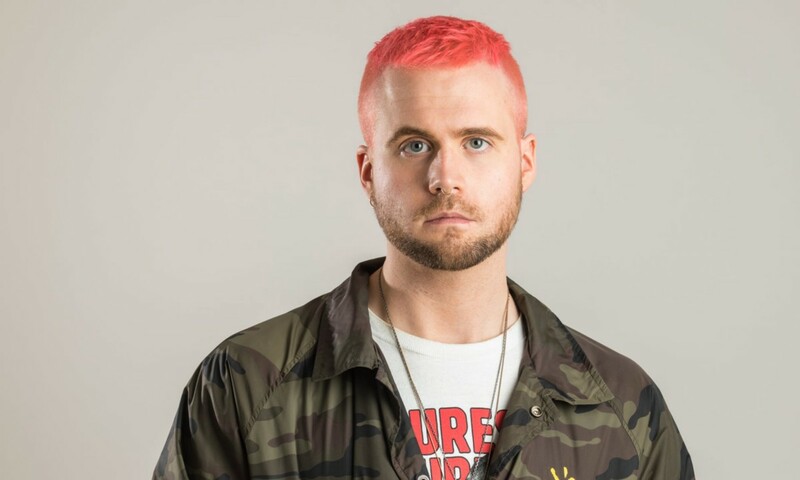 Christopher Wylie, whistleblower for the Cambridge Analytica scandal. We’ve invested in investigative journalism, but at the same time, we have had to make tough decisions in order to achieve our goal of making the Guardian financially sustainable. Most of the redundancies, which were all voluntary, took place in 2016 and 2017, but we can’t ever rule out further cost-cutting altogether, given how turbulent the advertising market is and how important it is to sustain the Guardian for future generations. The Guardian has had an ambitious scheme launching websites worldwide: US digital edition launched in 2011, Australia digital edition launched in 2013, How are these websites doing currently? Is the Guardian in the process of expanding or shrinking abroad? Guardian Australia, where I was founding editor from 2013 onward, gets big scoops, and our coverage has taken on topics like Australia’s environmental crisis, the immigration debate and the rights of indigenous people. Our US and Australia teams deliver superb editions of the Guardian to their audiences at home and abroad. We are the most essential progressive news site in Australia. In the US, the Guardian has built a reputation for original coverage of social and environmental issues, combined with sharp political reporting and fresh opinions. The media landscape is hugely competitive but even so we are read more widely than many well-known and more established American news sites — it is very distinctive. Both the US and Australian editions are now financially sustainable and are growing their revenues. Our international priorities are really to cement our presence in the US and Australia, ensure they maintain their distinctive voice and editorial outlook and help us deliver live 24/7 news for Guardian readers. A particular priority for me in the next 12 months is making sure we provide a brilliant service to the growing number of readers we have in Europe, who see the Guardian as an important international source of news and perspectives. The Guardian has always been a very pro-European news organisation and Brexit won’t change that! The Guardian has managed to keep its financial independence by asking for donations from its readers. 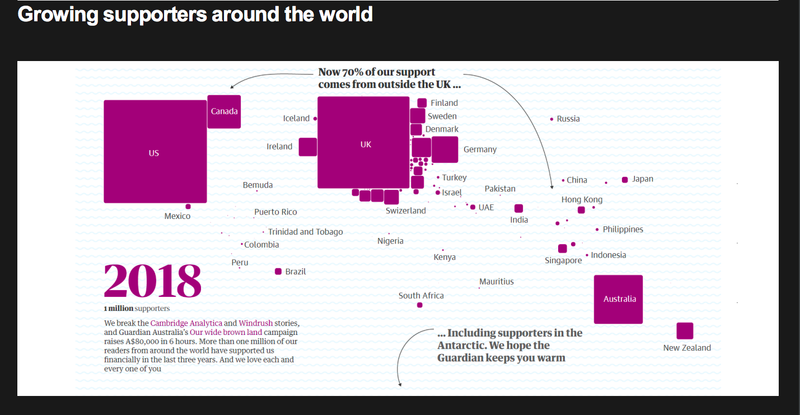 In the last three years, more than 1 million people supported the Guardian through donations. Could you tell us what part of your turnover these donations represent? The Guardian’s strategy means we are more reader-focused than at any point in the past. And our unique ownership structure and mission enables us to ask our readers to support us. Our supporter scheme has grown strongly over the last three years. In October 2018 we announced that more than one million people have made a financial contribution to the Guardian over the last three years. From just 15,0000 members three years ago, we now have over 600,000 supporters and subscribers who support us regularly. In addition, we have received over 600,000 one-off financial contributions since April 2016, when we began to offer this option. We have an engaged, loyal readership that is prepared to pay to support our journalism. Our reader revenues (including newsstand sales) are now larger than ad revenues. Access to the Guardian website remains free while sites like the Economist, Financial Times and The New York Times are generating additional revenue, through paywalls. You have said that you were not “theologically opposed to pay-walls”. Do you ever see the Guardian utilizing such systems in the future? I would never rule it out entirely, but given how well readers have responded to supporting us in a number of other ways — contributions, digital and print subscriptions — a paywall isn’t part of our current plans. I would add that Guardian journalism is meant to be for everyone. We’re not a niche publisher and we don’t want the Guardian only to be available to an elite — we want the journalism we produce and the stories we break to be read by as many people as possible. The global reach the Guardian achieves without a paywall helps give us that impact. How are you preparing for the future? Will you ever announce the end of printed copies and become exclusively digital? Is this scenario a possibility? That’s not likely to happen any time in the foreseeable future — print remains an important and iconic part of what we offer to our readers. We increasingly find that readers combine the two — some readers rely on our smartphone app during the week, and subscribe to a newspaper on Saturdays or Sundays. Readers tell us they want different products at different moments, and print still has a core audience — in fact, our print subscriptions are at a record high. At the end of 2018, we relaunched Guardian Weekly as a beautifully designed glossy news magazine, mainly for our international readers. What do you have in mind for, and what are you expecting from the Weekly? Guardian Weekly was a hundred years old. We felt that there was an opportunity to revamp it, and make the design and quality match the brilliant journalism inside. We have redesigned from a newsprint weekly into a really stylish international news magazine. It felt logical and we know from the initial response that it is popular — subscriptions are up around the world and the biggest group of new subscribers is millennials. There is clearly still a large market for high-quality magazines like the Economist, the New Yorker, and Guardian Weekly can be a part of that phenomenon, too. You take strong positions on the missions of the Guardian and you are pointing to the dangers of big platforms, like Google or Facebook. Do you consider news publishers have lost control over the distribution of their journalism or content? How do you combat this? As businesses grow to the size that those platforms have done, there is undoubtedly a real risk that the economics of digital advertising at such huge scale have shaped the distribution of news online, to the detriment of society. For the Guardian, we think very carefully about how we work with platforms. Being available on those platforms helps ensure our journalism is seen by a wide audience, but we try wherever possible to bring readers back to the Guardian’s own platform, where we can give them the best possible experience, and offer them more journalism. I think many of the people who run the big platforms understand where they’ve gone wrong, and many of the founders of these businesses talk very convincingly about appreciating high-quality journalism. The challenge, though, is to do something about it — not to solve our problems for us, but to ensure the playing field is more level for media organisations. In other industries, where issues of dominance are identified, those businesses are usually made to separate elements of their business, or the fees and charges they are allowed to levy are regulated. Ultimately the platforms may need to be held accountable for the content and activity they host by independent regulators, just as news organisations are legally responsible for what we publish. Has your opinion changed regarding the role of these big platforms? Do you have agreements or financial deals with these platforms today? Google is a business that increasingly relies on high-quality news and information, of the sort that news organisations provide every day. They have been a constructive partner, although there’s more they could to help publishers to build sustainable revenue models, particularly on digital subscriptions (or contributions in the Guardian’s case). We do have conversations with Facebook about the value of high-quality news to their platform and to society more broadly, although it’s a more complicated relationship. They are listening at a high level, but I think the jury is still out on whether they want to truly engage with the news industry more openly. What proportion of your visitors comes to you via Facebook or Google? For Facebook it’s a relatively small proportion — a few percentage points. We do share and post Guardian journalism via Facebook, despite withdrawing from Instant Articles, because we know so many people spend time there — we want to put Guardian journalism in front of the widest possible audience. Search including Google makes up a larger proportion of our traffic, but is obviously a different proposition than a social media platform. We know that different types of story can drive interest in different ways on different platforms — and thankfully we have dedicated editors who are expert in understanding how best to share our journalism both on and off platform, to ensure it finds an audience. Has the fact that more of your readers are accessing content on their phones had an impact on the way your journalists write? What is different from three or four years ago in the daily workflow of Guardian’s journalists? Our workflows were already largely digital first by the time I became editor in 2015, although we are constantly improving the analytics tools we can offer to our journalists — we encourage every journalist to be interested in the scale and type of audience their journalism reaches, and how deeply it engages them. But we are clear that we don’t want clickbait, or stories written simply to respond to search or SEO. In digital, just as in print, I want Guardian journalism to be meaningful: explanatory, visual, keepable. Did you create new job positions linked to new platforms or new ways to produce and consume news? We have tried to make sure we can innovate and experiment with new platforms — but without setting up new teams for every passing fad. Our social team is very adept at figuring out what works well on which platforms though, and over time we’ve had really good success with Instagram — we have over one million followers, and we focus on telling stories in new ways. Our Fake or For Real series, interpreting the news and addressing fake news, has been particularly popular over the past two years. 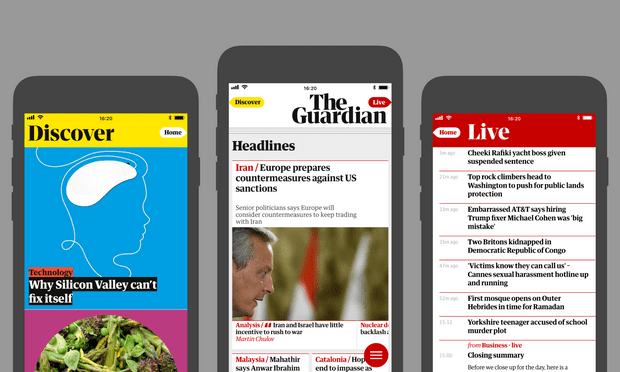 We’ve also focused our digital developers and journalists on improving the experience of the Guardian smartphone app, which is now incredibly popular. Over the last few years we’ve also added roles to support our ambitions in multimedia journalism. We relaunched Guardian documentaries in late 2016, and have just been nominated for an Oscar for best documentary short for our film Black Sheep — an amazing tribute to our team and our partners. A big priority in 2018 has been creating our new daily news podcast, Today In Focus, for which we made some brilliant appointments to add to our in-house team. We already had a number of established specialised podcasts, but Today In Focus attempts to take a step back and analyse the big issues of the day. So far it’s been a big success, hosted by our former political editor Anushka Asthana. Audio remains a big priority in 2019. How do you use automated news technology and artificial intelligence in the newsroom and what is the policy of the Guardian on innovative tools for digital reporting and journalism? Before being used, how are these tools tested and how important are they in an increasingly competitive landscape? We use computers to carry out some tasks that would otherwise be very time consuming for journalists. For instance, we receive a huge number of comments on our online articles. We believe in moderating and curating those discussions for our readers — and reading every comment that’s posted in real time is a big job. Two years ago, we built a tool we call Eirene (named after the Greek goddess of peace) to help our team of moderators do their work. AI allows personalisation of news on mobiles or through push alerts or newsletters. According to you, what are the opportunities and the challenges of news personalisation? News personalisation has some interesting possibilities. But it’s something I think we need to approach quite cautiously. One of the key roles we perform in our readers’ lives is to edit — to bring together the right mix of news, opinions and features to create a product that’s enjoyable and nourishing for our readers. It’s clear that blunt personalisation powered by algorithms without humans could lead to news organisations producing worse, less fulfilling journalism. Of course we offer readers the opportunity to sign up for a whole range of newsletters, podcasts and notifications — but I am not sure personalisation should encroach on our core product or our home page. 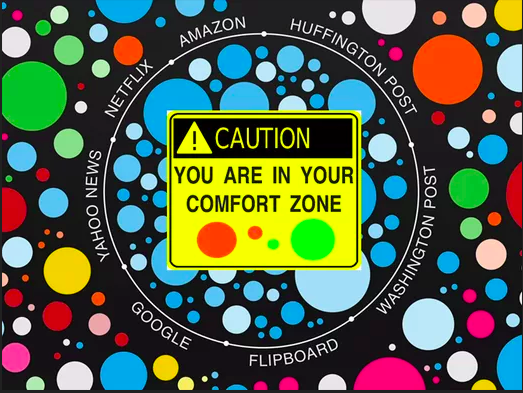 More precisely, do you have a policy to resist the phenomenon of the filter bubble where, according to Bloomberg’s John Micklethwait, the ‘consumer only gets news with a particular spin’? The media’s priority should always be to get out, really listen to people, and report factually and accurately on what is happening, and to try to understand what’s going on. While the Guardian does have a particular political perspective, we embrace as broad a range of progressive perspectives as possible, and we don’t shy away from engaging with voices from the centre or the right. Nobody has a monopoly on good ideas. In such a tumultuous, often chaotic world, we need to give our readers facts they can trust and rely upon. The Guardian has always assumed a liberal editorial line. One issue is clearly dividing the country: Brexit. Does the Guardian have a clear position on this issue? We were strongly anti-Brexit. We believe in plurality. We have said that the British government has failed in its negotiations, and that it should find a way to pause Article 50 and then put this complex debate back to the British people through some form of citizen’s assembly — something that should have been done prior to the original vote, as Ireland did before the recent referendum on abortion. After that, it may be right to hold a further referendum on the options which the citizens assembly agrees upon, not to repeat the 2016 vote, but to have a real say on the complicated question of the UK’s future relationship with Europe. With all our coverage of Brexit though, it’s really important that we go beyond the Westminster politics and make sure we report from all over the UK on the attitudes, feelings, and expectations of all sorts of people — young, old, small business-owners, public sector workers. We have been doing that consistently, to make sure we don’t fall prey to the Westminster bubble of consensus — an example is our recent Brexit: divided generations series. We have also made some outstanding long-form video journalism which tackles these questions — Made In Stoke, for example, a moving eight-part documentary set in what some dismissively called “the Brexit capital of Britain”, and our excellent long-running Anywhere but Westminster series. Have you decided on the way you would cover the European elections, if the majority of Britons are not interested? European elections matter to the UK, given that the EU will remain one of the world’s largest democratic clubs, right on the UK’s doorstep. I’d expect us to keep covering European affairs in depth-first, because what Europe does matters hugely to the UK, now and in the future — even Theresa May has talked about an ongoing close and special partnership. Second, because we have millions of readers all over Europe, and more around the rest of the world, who look to the Guardian, as a pro-European news organisation with an international outlook, to interpret the news. We will continue to play that role whatever the UK’s final relationship with the EU. 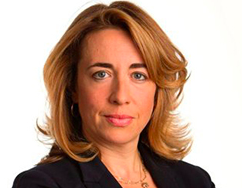 Katharine Viner is editor-in-chief of the Guardian, a position she has held since June 2015. She joined the Guardian as a writer in 1997 and was appointed deputy editor of the Guardian in 2008; launched the award-winning Guardian Australia in 2013; and was also editor of Guardian US, based in New York. She is the winner of the 2017 Diario Madrid prize for journalism for her long read How Technology Disrupted the Truth. She’s always stayed true to the Guardian founder CP Scott’s motto: “Comment is free, but facts are sacred”. Katharine Viner is a keynote speaker at the 2019 GEN Summit in Athens. Get your tickets for the GEN Summit. journalist with 30 years of experience in a weekly French magazine, currently working on Artificial Intelligence.